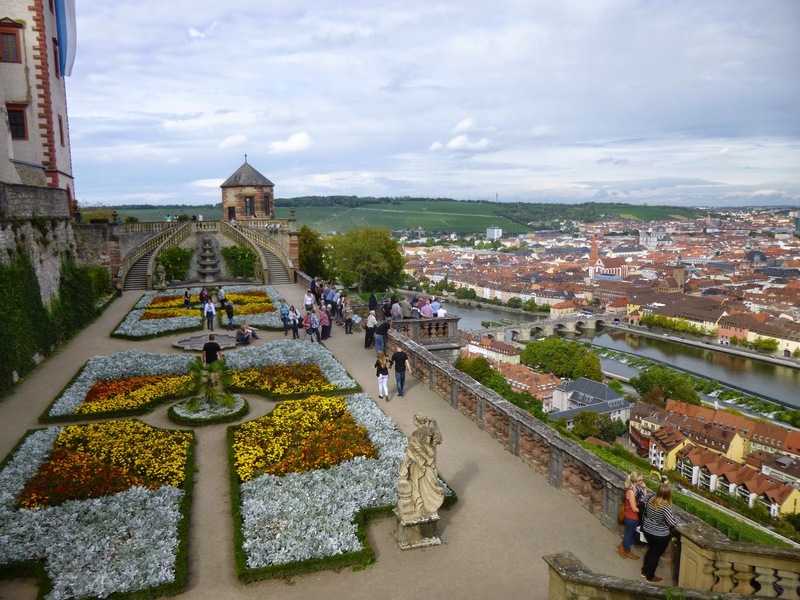 You might think of Germany as being the Land of Beer, but the Rhine is all about Wine! In many places - as here in the town of Bacharach - you'll see steep hillsides blanketed with vineyards. 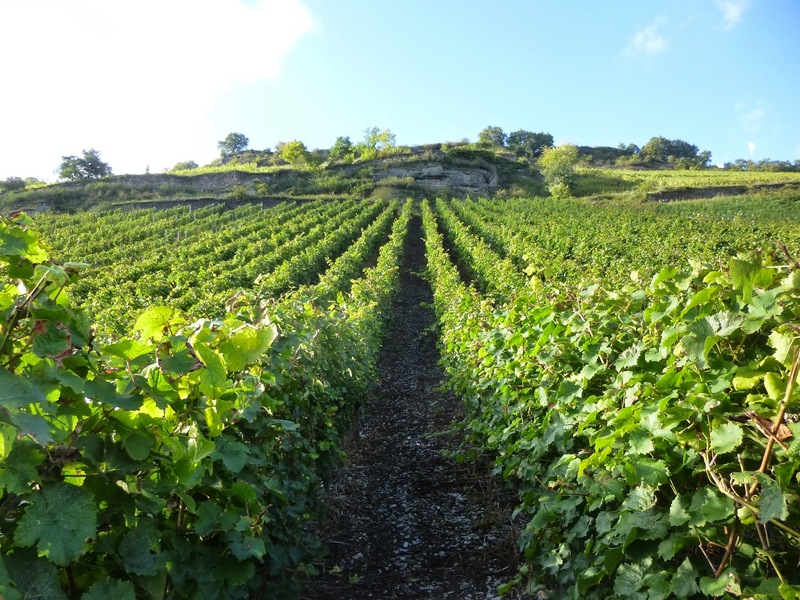 Just climbing this hill seems like it would be a challenge, never mind planting, tending and harvesting the grapes! 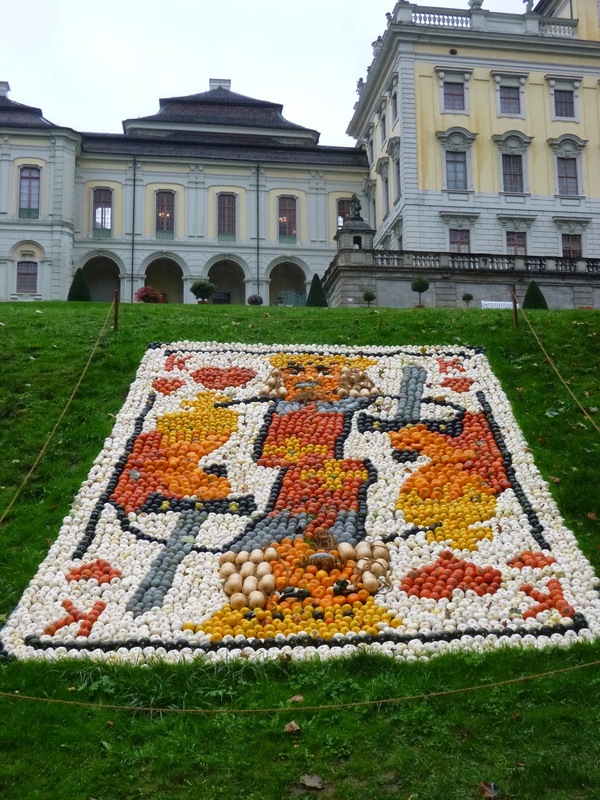 The town of Ludwigsburg, Germany claims to have the World's Largest Pumpkin Festival. 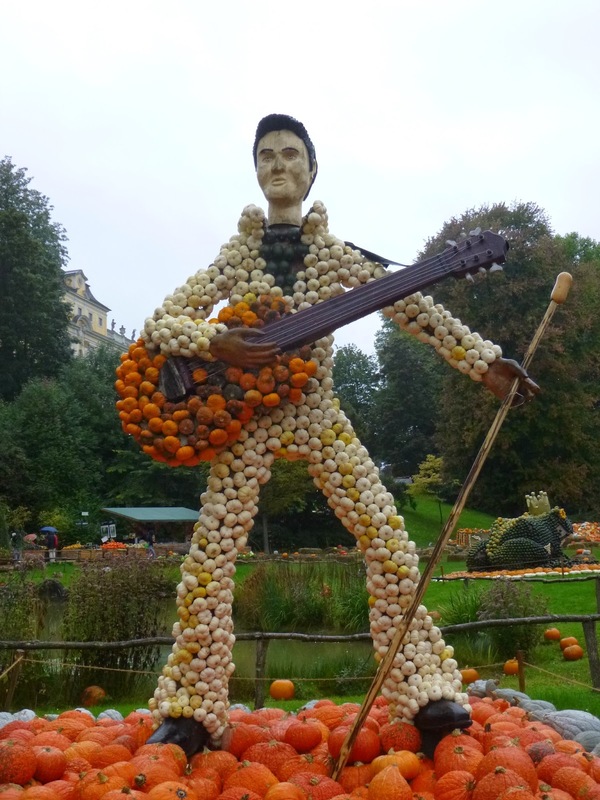 Typically, more than 400,000 pumpkins are pressed into service to make larger-than-life sculptures. 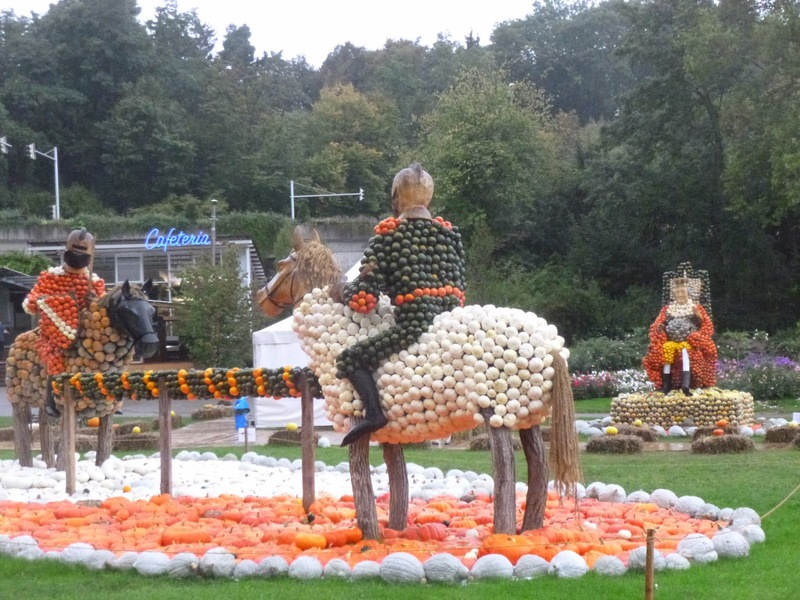 Here two medieval pumpkin knights on horseback prepare to joust before a royal audience (and a cafeteria). And then there's the King of Rock and Roll! 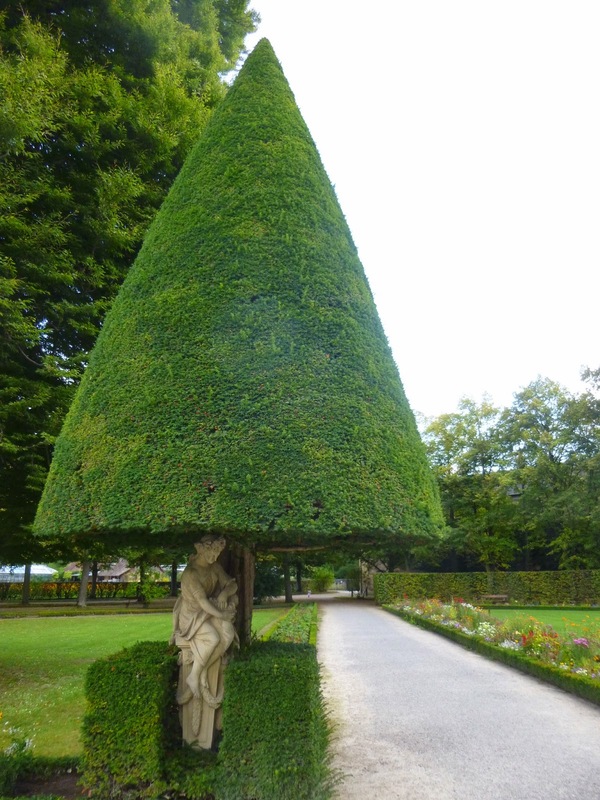 Have you ever seen such a conical tree?! And with a statue sheltering beneath it like an umbrella? 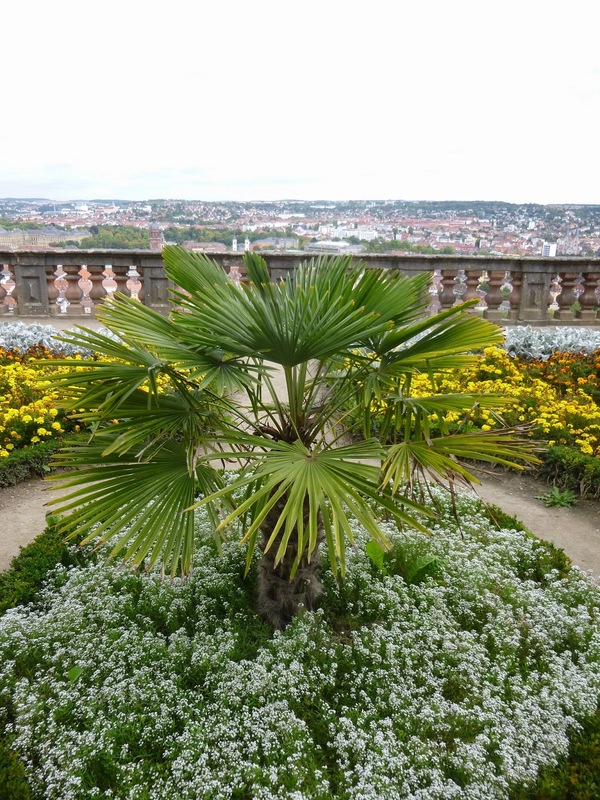 This is not my taste at all, but I had to admire the moxie of the designer and/or pruner in this palace garden in Wurzburg, Germany. Grey squirrels are super common in the States. But if you want to see a Red Squirrel, you have to head to Europe. And even then, you better keep your eyes open, because the red squirrel seems much more shy, elusive and rare than its grey North American counterpart. 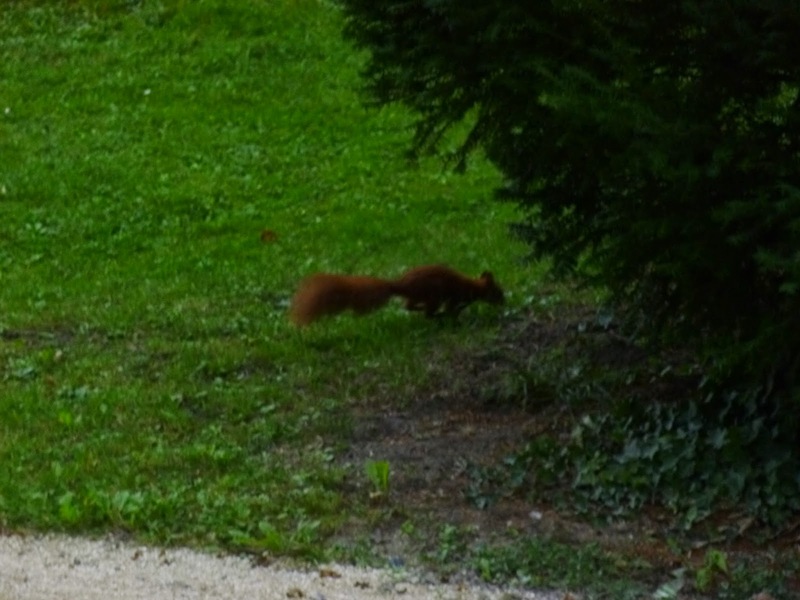 Here was my best attempt at snapping a pic of a red squirrel in a Wurzburg garden. Now I know how those photographers feel when they try to convince people that their photos really do depict Bigfoot or the Loch Ness Monster. 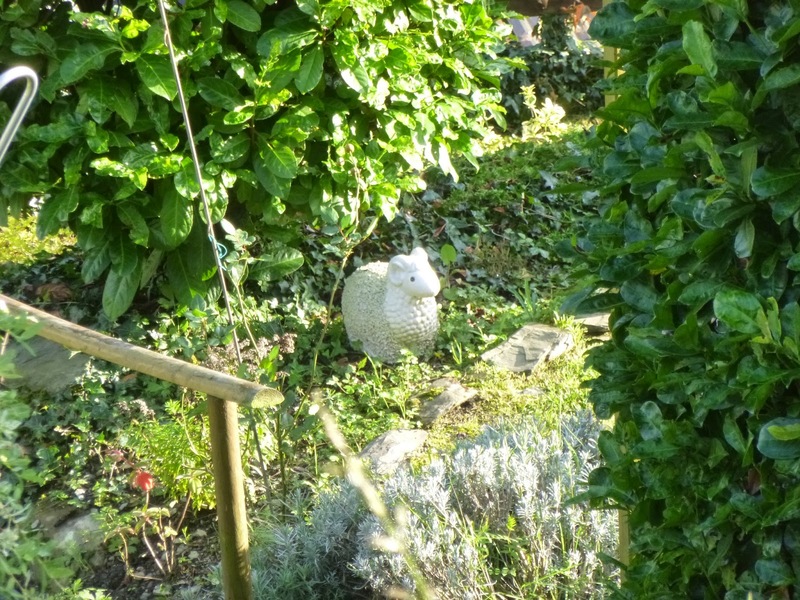 Honestly folks, that blur is a red squirrel! And on that exposed hilltop garden was a palm tree! I'm no expert, but I think this could be a Chinese Windmill Palm (Trachycarpus fortunei). Finally, a field of orange flowers (poppies? marigolds?) 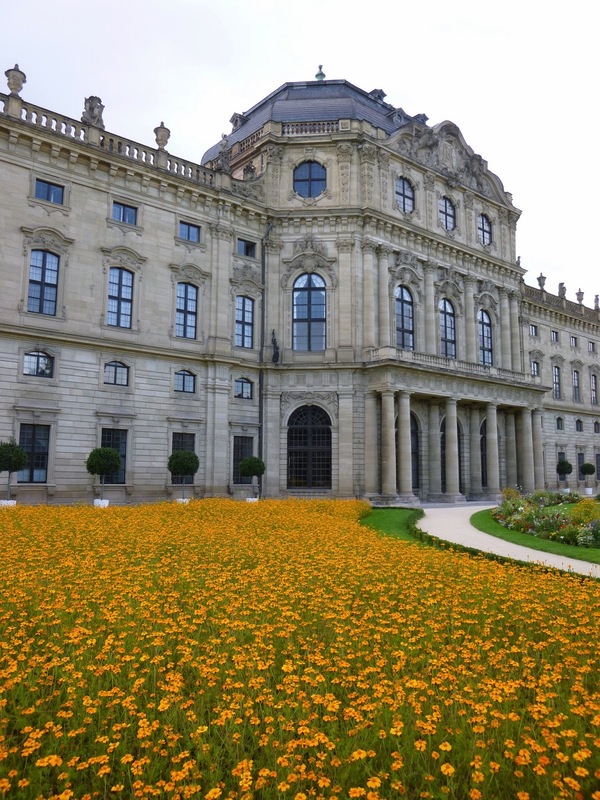 makes a delightful carpet leading up to this Wurzburg palace.